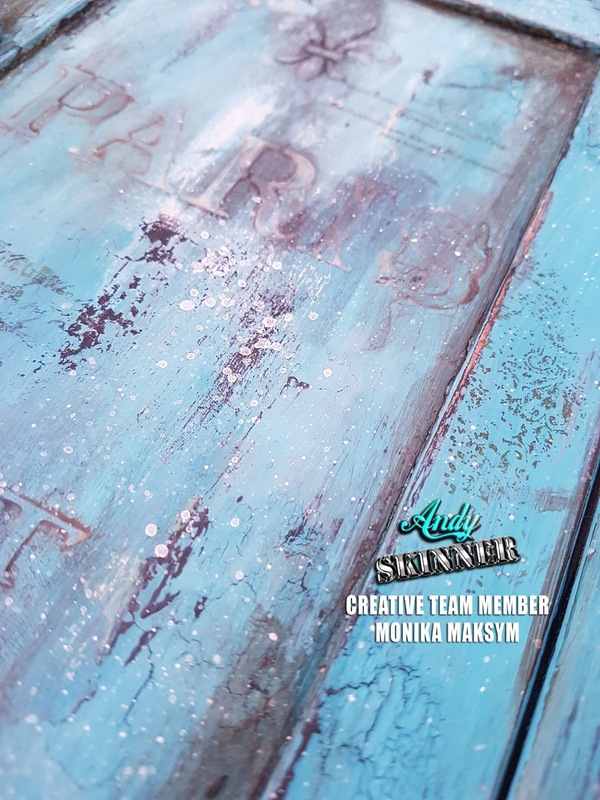 To decorate my wooden key cabinet I've started with lots of chalky finish paints layers, sanding and distressing . 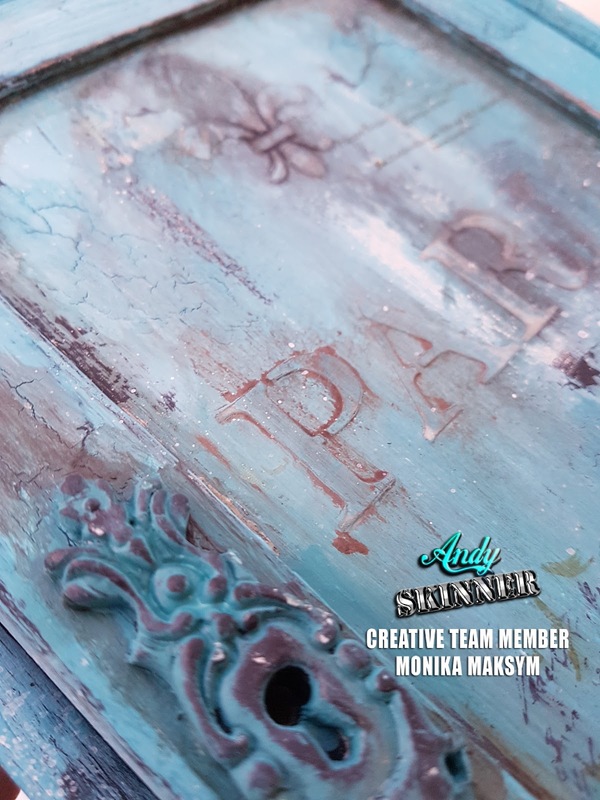 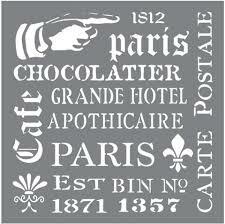 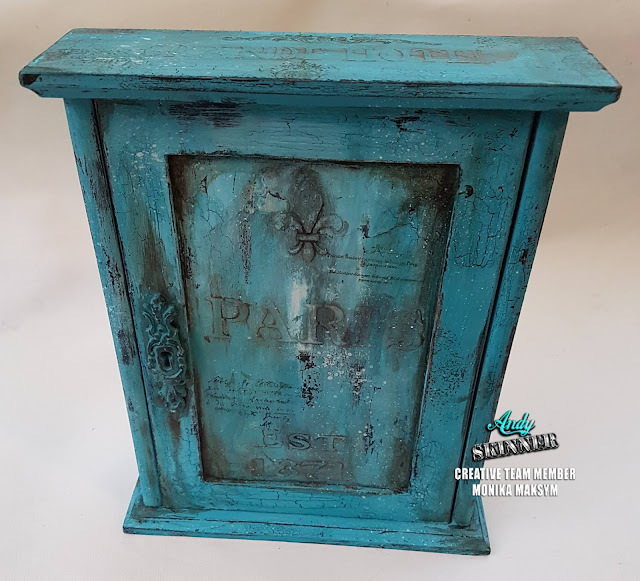 Modeling paste was scraped through Decoart French Elements stencil, painted over and then aged with Antiquing Cream. 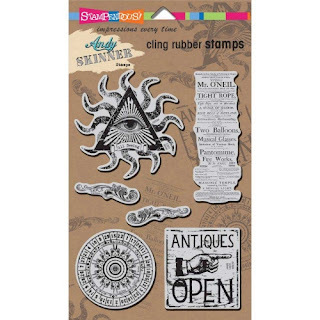 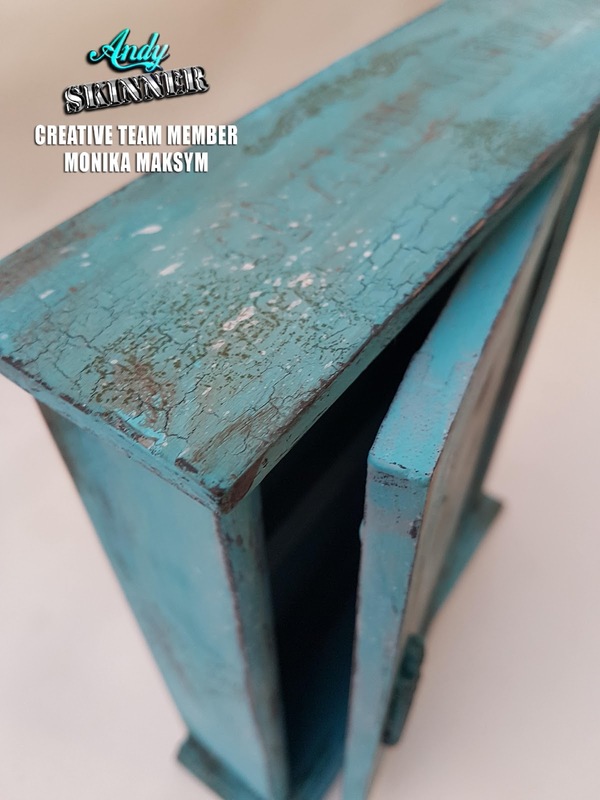 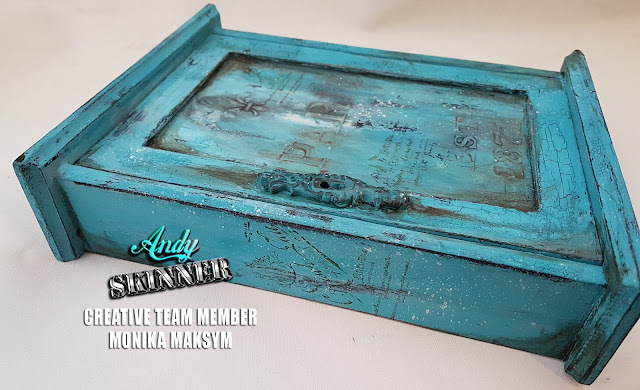 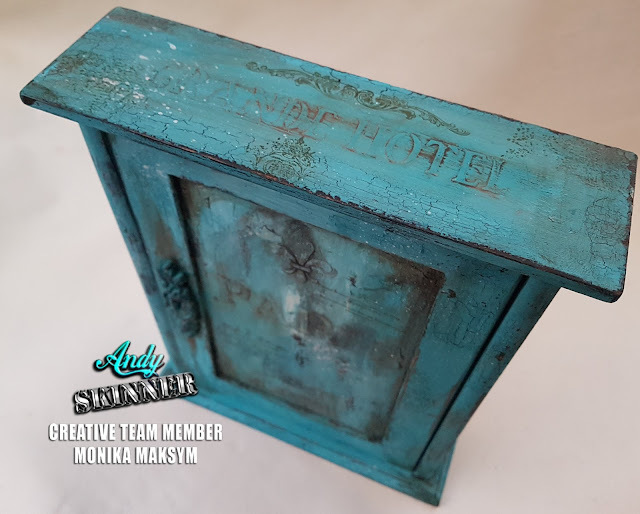 I have also used Weathered Wood medium for peeled paint effect. I've stamped my cabinet with Archival Ink, and finished it off with varnish to protect the surface. Thank You for stopping by, I hope You've enjoyed my post. 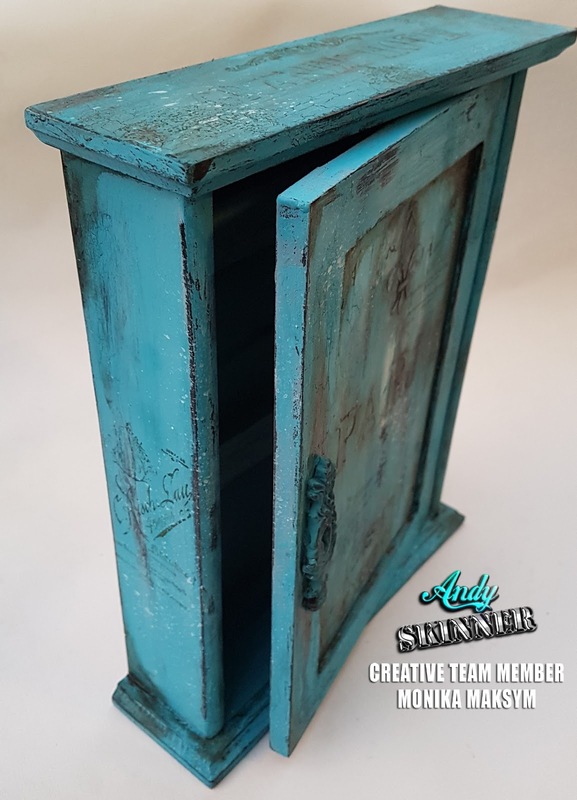 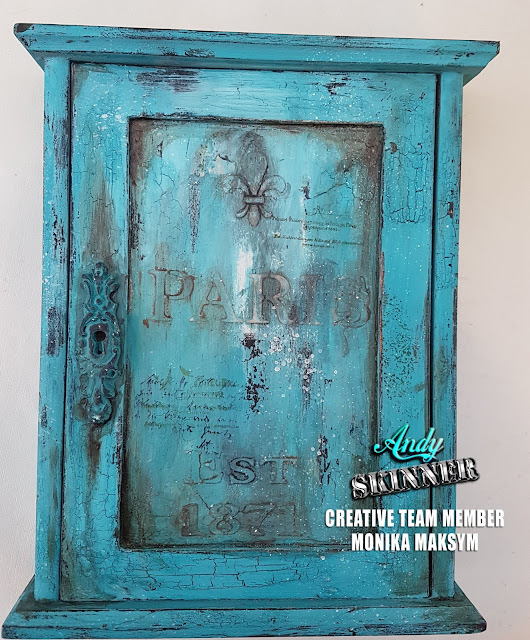 Fabulously distressed key cabinet, I love it!